For over three decades, veneers have helped mask dental imperfections like chipping, staining or gaps and improve the appearance of millions of teeth. As the name implies, this thin layer of porcelain covers a tooth's visible surface and accurately mimics the texture, color and translucence of natural teeth. 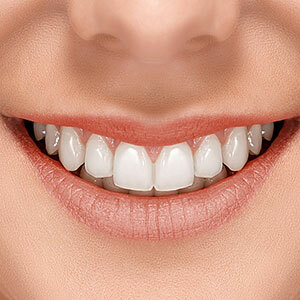 Veneers could be just the solution you need for a more attractive smile. But before you begin treatment, be sure you have these 3 essentials in place to ensure a successful outcome. True expectations. While the transformation of a tooth's appearance with a veneer can be astounding, veneers in general do have their limitations. You need an adequate amount of the tooth's structure present for a veneer to properly adhere — if not, you may need to consider a porcelain crown instead. Likewise, gaps and other misalignments may be too great for a veneer to cover: in that case, you should consider orthodontics. A thorough examination beforehand will determine if veneers are the best option for you. An artisan team. Every veneer is custom made to match an individual patient's tooth shape and color, handcrafted by a skilled dental technician. There's also an art to the dentist preparing the tooth beforehand and then properly positioning the veneer for bonding to achieve the most attractive result. Be sure, then, that your veneer "team" comes highly recommended by others. The best materials. The first porcelains were powdered glass ceramics mixed with water to form a paste. Technicians shaped the paste in successive layers and as it oven-cured it took on the beautiful translucence of natural teeth. Unfortunately, this type of porcelain could be brittle and prone to shattering when subjected to heavy biting forces. In recent years, though, we've begun to use ceramics reinforced with other materials like Leucite for added strength. Today, the materials dentists use have much better durability.